सब, सब ही कुछ ले गयी माँ. And did not get up. to the grave with her. from the cancer of distrust. कौवा कौवा है और कोयल कोयल. A crow is a crow and a koel is a koel. Just because they look similar, they are not the same. ज्वालामुखी का मानक क्या है? the scale for a volcano? मत कर, मत कर, मत कर. These short poems were used often when we were children. Just recording them here - for a day when these wont be remembered that easily. You knew, did you not, that I would come for you? I don't know. To get someone for keeps, and to really keep someone close - they're 2 different things, aren't they? “Ha ha! Knew you didn’t! 33!” he gloated. “I bet you memorised that all night only to impress us in the morning!” Nirvaan said. Ishaan, Vedant, Neel and everyone else took turns testing him, but he always came out on top. How was Arun doing this? Coal does not lose its dark side, no matter how much it is washed. Meaning: A person cannot lose their inherent nature, no matter how much you try to reform them. तुम्हे पता है,मुझे दुनिया में सबसे अच्छा क्या लगता है? और उन पर "साणु की?" "हमें क्या?" "Let's not be judgemental" type ke goal करते रहना. पर उस मैदान की ज़रुरत ? वो हम ही ने बनायीं है. I'm SURE I'd selected great renditions of Madhaniyaan and put them here, but just can't find that post! I grew up on the Musarrat Nazir version, but would like some others... deep throated pain types..
तुम्हे याद है , तुम कितनी अच्छी बातें करते थे ? अब भी करता हूँ. नहीं? हाँ. पर तब मुझे, उन पर यकीन भी होता था. This Women's Day, for the children's paper, I decided to take a question head on - Do we need a Women's Day? The first Women's Day was celebrated in 1909. Have we travelled far enough now to make the day redundant? This is the cover story that appeared in the children's paper today. stark – if a man is being paid 100 rs, a woman doing the same job would be paid only 75 rs. Not only that, according to a report released by the World Bank, Unemployment rate is much higher among women. School enrolment (sending children to school), both primary school (Junior school) and senior/secondary school, is almost on par, at 91.7% for girls and 92.9% for boys. The other good number is Life Expectancy. Life expectancy means, if a child is born in a place today, how long that child can hope to live. The life expectancy for India is 68.5. It is 66.9 for males and 69.9 for females. While this is nowhere near the World No. 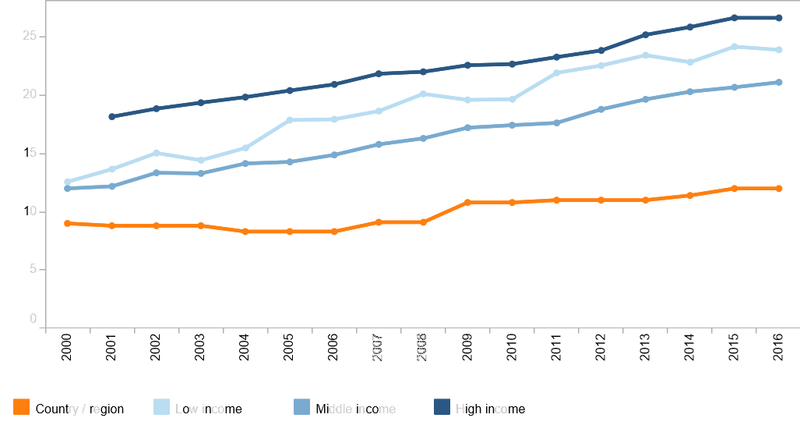 1 Rank – Japan (Females: 86.8; Males: 80.5, overall, 83.7), it is still steady progress over the last few decades. Another important ratio that we need to look at is the gender ratio. Ideally, there should be equal number of men and women in a population. But India and China are 2 countries where there are much fewer girls than boys. There are many reasons for this. Most of those reasons are social in nature. In 1951, India had 946 girls for every 1000 boys. In 2011, that number was 943 girls per 1000 boys. The last census was conducted in 2011. However, a government report was released in 2017, which takes data from registered births. This report puts the gender ratio at 881 per 1000 boys in 2015. Registered births are births that are registered with the government and a birth certificate is issued to the child. Even though it is necessary, not everyone gets a birth certificate for their child. Now, let’s take a look at the decision making power of women. A very good measurement used by the World Bank is the number of women in parliament – the highest law making body in India. This value went from 9% in 2000 to 12% in 2016. For every 100 men, there are 90 women in the country. Which means that 47% of the country is women. But their representation in the parliament is only 12%. Let’s come back to that earlier number – 47% of all people in India are women. 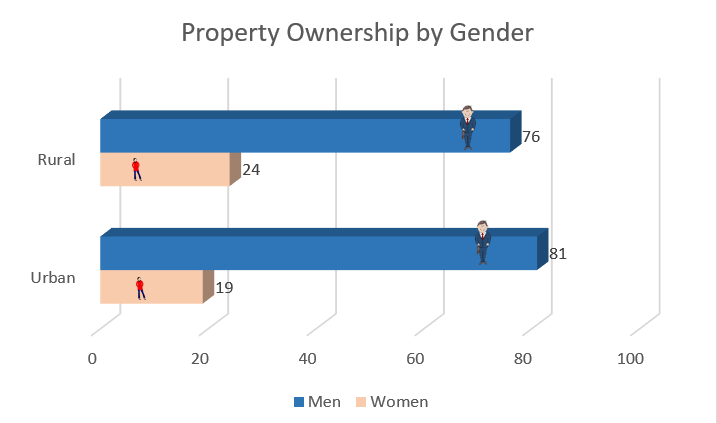 But only 24% of the property in villages, and only 19% of the property in cities, is owned by women. 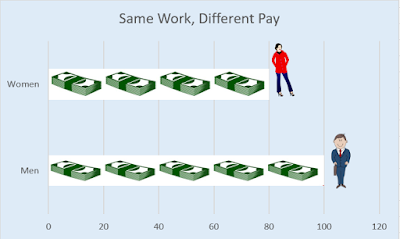 Do you think that more women are now working to earn money? You may want to think again. 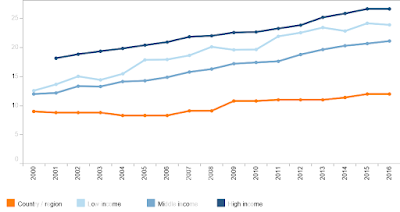 Since 2005, the number of women who are working outside the house to earn money, has been going down consistently. I started creating this post with a simple question in mind – Is it really that different, being a woman and a man, in a progressive country like India? In making this report, I have read at least 50 indicators (and shared some of them with you). 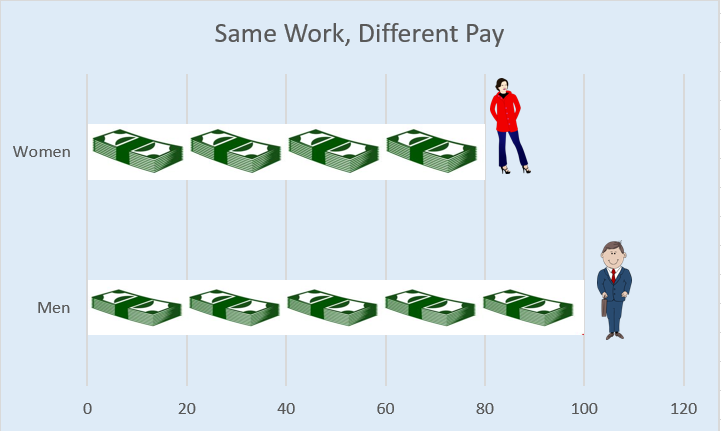 So here is the conclusion: Whether you will live to see your 5th birthday, whether you will be sent to school, whether you will get enough food to eat, whether you will grow up to work and earn money, and how much money you will earn for doing the same job – EVERYTHING depends on whether you are a man or a woman. It is everyone’s business to ensure that we create a country where these differences do not exist. And we look up to the children to make the change that sadly, our generation could not make. There are very few ways to lose me. And you seem to have mastered every single one of them. That which is taken for granted will eventually be taken away. साथ रहने को साथ कहते हैं. साथ कहने को साथ होना नहीं. जो किस्मत में नहीं है, वो सपने में भी न हो, ऐसा किसने कहा? किसी को पा लेना, और उसे उम्र भर पालना - दो अलग अलग चीज़ें हैं. "I love you" is a verb. It means you have to DO something. "I am in love with you" is a state of existence. They are not the same thing. दुनिया सब की एक है, फिर भी अलग अलग है. - Unknown. Duniya Sab ki ek hai, phir bhi alag alag hai. Prayer is an action. Devotion is an emotion. कुछ सपने, हमें सत्य की ओर ले जाते हैं, और कुछ हमें अपने भ्रम का आभास कराते हैं. मेरे ख्याल से, तुम वो दूसरी तरह का सपना हो.